As originally conceived, the Boeing 737 se-ries 100 could accommodate sixty to eighty-five passengers but after talks with Lufthansa this was increased to around 100 seats. The newly designed wing was required to give good lift and have excellent low speed characteris-tics for short-field operations, around 870nm. The engines se-lected were two Pratt & Whitney JT8D-1 tur-bofans, each of 14,000 pounds thrust, but following negotiations with Lufthansa the more powerful JT8D-7 turbofan was chosen for it could maintain the same thrust at higher ambient temperatures. The aircraft has almost the same fuselage cross-section as the longer 707 and 727, designed so that maximum use could be made of 727 tooling and components to keep initial costs low. The aircraft is powered by the JT8D turbofan engine developed for the 727, and has the 727’s high-lift system. 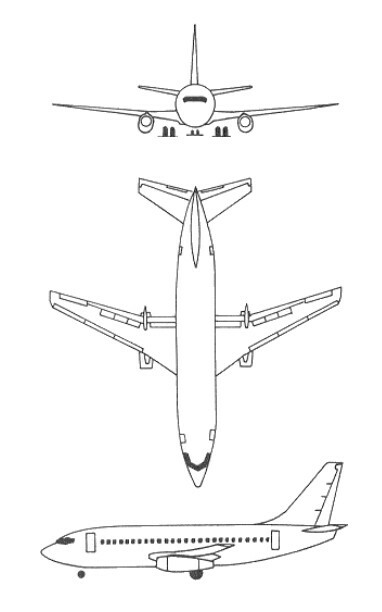 The 737 utilised the same nose and fuselage section as the 727. Wing sweepback on the 737 is 25 degrees. The prototype 737-100 first flew on 9 April 1967 and was so successful that by 15 December 1967 FAA certification was complete and Lufthansa took delivery of their first machine on 28 December 1967. They made their first scheduled 737 passenger flight on 10 February 1968. Only 30 of the -100 series were built. United Airlines launched the 737-200 with a 1.82m fuselage stretch, first flown on 8 August 1967. The -200 was added to the 737-100 type certificate on 21 December 1967, and first delivery to United Air Lines on 29 December 1967. In production from 1966 to 1988 (1114 aircraft), the 737-100 offered 85 - 90 seats and a maximum take-off weight of 110,000 lb initially with two JT8D-7 of 14,000 lb thrust. The Dash 9 engine of 14,500-lb thrust was also available. The -200 Series offered a maximum take-off weight of 115,500 lb, rising to 128,100 lb for the Advanced version. Engine types available were the Dash 7, the 9A with 14,500 lb, the l5A with 15,500 lb and the l7A with 16,000 lb thrust. The T-43As being navigation trainers and the C-40A being the 737-NG model 700. Boeing has delivered the 19th and final T-43 Navigator Trainer aircraft to the USAF's Air Training Command in 1974. The aircraft, a military derivative of the 737-200 twinjet, flew to Mather AFB, Sacramento, California. Boeing says the T-43 programme was completed on schedule and within the $81.7m contract which Boeing won in May 1971. Deliveries began in 1973. A maritime surveillance version of the 737-200, the Surveiller is equipped with a Motorola side-looking modular multi-mission radar (SLAMMR), linked to two 5m-long antennae mounted on each side of the upper rear fuselage. The radar has a typical range of 185km on each side of the aircraft at a patrol height of 9,150m (30,000ft). B737-219 is a quick change variant, from freight to passengers. The last of 1,114 Boeing 737-200s (and 30 737-100s) was delivered in August 1988. The total includes 19 T-43A navigation trainers for US Air Force (subsequently redesignated CT-43A) and three Surveillers for Indonesian Air Force. In the end it was the rather noisy JT8D-15 engines that prompted Boeing to look for a re-placement for the 737-200 advanced. Already operators throughout the world were turning to Europe for replacement jets such as Airbus and the Hawker Siddeley 146 both of which offered quieter and more fuel efficient engines. Initial design analysis showed that the new high by-pass ratio turbofans were all too big and Boeing prompted the development of the smaller diameter CFM-56 which offered 20,000 lbs thrust. The new aircraft retained about 70 percent commonality with the previous 737-200. The biggest changes, apart from the engines, were the increased fuselage length and minor changes to the wing tip. The larger turbofans did need new pylons and Boeing, with the help of CFM, redesigned the arrangement of auxiliary units inside the pod so that instead of fitting them symmetrically around the engine they were arranged on the sides giv-ing the 737-300 engine pods that characteristic squashed look. Production go-ahead for the Series 300 was given in March 1981 at the first flew on 24 February 1984, the 737-300 powered by CFM56-3 engines was FAA certified on 14 November 1984 and Boeing made the first delivery to USAir on 28 November 1984. Approval for 120-minute ETOPS given November 1986, but withdrawn July 1989 due to concerns related to operation in heavy rain and hail; approval restored 14 September 1990. Commonwealth of Independent States Interstate Aviation Committee certified the Boeing 737 family with P&W or CFM engines 18 January 1993 and the first delivery for Russian Federation and Associated States (CIS) registration (737-300 to National State Aviacompany Turkmenistan) was on 12 November 1992. A 737-300 for Ansett Worldwide (and subsequent lease to British Midland Airways) rolled out at Renton on 19 February 1990 (as 1,833rd 737); 737 orders passed 3,000 when Southwest Airlines ordered 34 in third quarter 1992. The 2,500th 737 rolled out 16 June 1993; 3,000th `Classic' 737, a 737-400 for Alaska Airlines (N793AS) first flew on 16 January 1998. Production of `Classic' averaged 9.5 per month during 1998. Further developments at Boeing resulted in the even larger 737-400 which was first an-nounced in June 1986 and the first example flew on 19 February 1988.Considerably longer than the 737-300 (3.05 metres). Announced June 1986, the first rolled out on 26 January 1988 and first flew on 19 February 1988. Certified for up to 188 passengers on 2 September 1988, the first delivery (to Piedmont Airlines) was on 15 September 1988. A high gross weight structure variant rolled out on 23 December 1988; certified by the FAA and delivered to first customer 21 March 1989. ETOPS approval was granted on 14 September 1990. Russian Federation and Associated States (CIS) certification with CFM engines was on 18 January 1993, as for the 737-300. Initially known as 737-1000 and then announced as the 737-500 on 20 May 1987, the -500 first flew on 20 June 1989; certified 12 February 1990 after 375 hour test programme; and first delivery (to Southwest Airlines) 28 February 1990. ETOPS approval was given on 14 September 1990. Russian Federation and Associated States (CIS) certification with CFM engines was given on 18 January 1993, as for 737-300 and -400. Smallest, and exactly the same size as the original 737-200, is the turbofan powered 737-500. Capable of carrying 108 passengers in comfort, the 737-500 consumes up to 20 percent less fuel per seat-mile than a comparably loaded 737-200. The 737-500 went into regular service in March 1990 with SouthwestAirlines. Boeing 737s up to and including -500 are known as `Classic' series to differentiate them from `Next-Generation' variants beginning at -600. The 737-700 first flew on 9 February 1997, was delivered to Southwest and entered service on 18 January 1998. 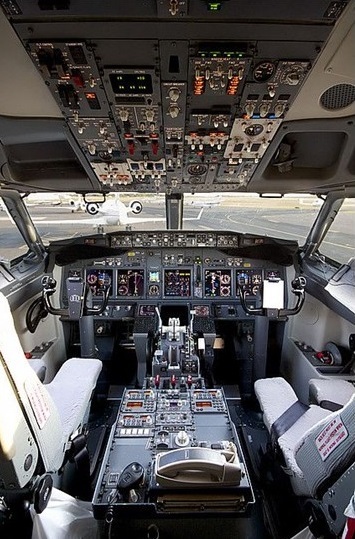 In 2003, the Australian Defence Force’s first 737-700 “Wedgetail” aircraft had installed a multi-role electronically scanned array antenna, 35.5 ft long and weighing over 3 tonnes, the antenna was described a “the critical sensor aboard the aircraft”. The Royal Australian Air Force Wedgetail airborne early warning and control (AEW&C) aircraft entered service in 2009. Six Boeing 737 NGs were modified to accommodate sophisticated mission systems and radars that will increase Australia's surveillance and air combat capability, provide air defence support for the naval fleet, and assist in civil operations such as border protection and search and rescue. The Wedgetail AEW&C aircraft were operated by No 2 Squadron from RAAF Base Williamtown, near Newcastle. The first two Wedgetails were modified in the United States of America, with the remaining four modified at RAAF Base Amberley, near Brisbane. The B737-800, essentially a stretched version of the earlier B737-400 seating up to 189 pas-sengers, earned its type certification from the FAA on 13 March 1998. The 737-800NG was launched by Boeing on 5 September 1994. The first delivery of the type was to Hapag-Lloyd on 22 April 1998. Boeing an-nounced on 18 February 2000 that it would offer the blended winglet version of the B737-800NG to customers - a new, advanced technology winglet that has become a standard option. First deliveries of the winglet jet commenced in May 2001. The winglets can be ret-rofitted and, because of commonality through the 737 range, the blended winglet will be an option for other models that have the B737-800 wing, including the B737-700C/QC and the B737-900. A winglet-equipped 737 is able to fly further, burn less fuel and carry additional fuel than one without winglets. Each winglet is 2.5m long and 1.2m in width at the base, narrowing to approximately 0.6m at the tip. They add approximately 1.5m to the airplane’s total wingspan taking it to 35.8m (all next-genera-tion 737 models have the same wingspan of 34.3m). Each winglet weighs about 60 kg and the over-all increase is about 170 kg. Structural modifi-cations to accommodate the winglet include strengthening of the wing’s centre section. 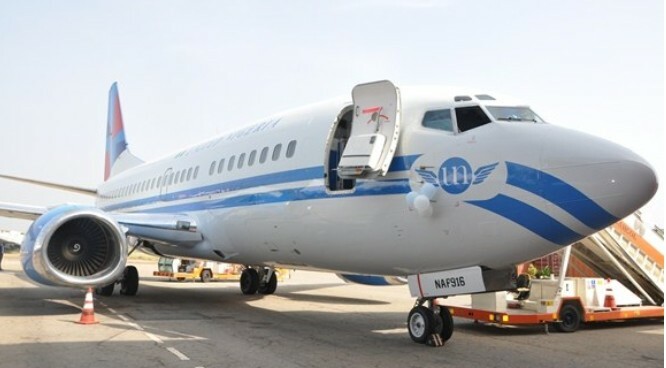 The B737-BBJ is a high performance derivative combining the fuselage of the 737-700, strengthened in the aft section, with the centre-section, wing and landing gear of the 737-800. The 737-BBJ is operated by the USAF as the C-40C. The BBJ combines the fuselage of the Boeing 737-700 aircraft with a strengthened aft section, and the centre-section, wing and landing gear of the 737-800 aircraft. Winglets are standard, affording 5 to 7 per cent reduction in cruise drag, resulting in 4 to 5 per cent increase in range. The BBJ features the same panel as the Boeing 777 and also adds a heads-up display. A variety of fuel tank configurations allow the BBJ to have a more than 6,000 nm range. With a customized interior, some of which feature a conference room and a gymnasium, the BBJ approaches a $50 million total acquisition cost. The first delivery took place in September 1999. A stretched version (19 feet longer) of the original BBJ, the BBJ2 offers 25% more cabin space and 100% more baggage space. First delivery of the larger Boeing Business Jet was in early 2001. Two Boeing 737 BBJ (Boeing Business Jet) special purpose aircraft are operated by the Royal Australian Air Force's No 34 Squadron, based at Defence Establishment Fairbairn in Canberra. Both BBJs are permanently converted to VIP configuration, comprising two conference tables and seating for 30 passengers. The BBJs joined the VIP fleet in July 2002. The 737-900 first flew on 3 August 2000, from Boeing Field. The 900 retains the same wing and engines (CFM56-7s) as the 600, 700, and 800 models. Two fuselage plugs, ahead and aft of the wing box increase the fuselage length by 8ft 8in (2.6m) over that of the 800, for 177 passengers in a two-class configuration, 15 more than the 800. Because of emergency exit requirements, the maximum seating number of 189 is the same as for the 800. Two aircraft were used for FAA and JAA certification. The lauch customer being Alaska Airlines with an order for ten placed in November 1997. The P-8A Poseidon for the US Navy is the third military derivative of the 737NG airliner after the 737-700BBJ based C-40 clipper cargo and personnel transport and the 737 AEW&C Wedgetail/Peace Eagle. Chosen by the Navy in 2004 to replace the bulk of its P-3C Orions, the airframe is based on the 737-800 mated with the strengthened wings of the 737-900. The P-8A is powered by two 27,300 lb (122kN) thrust CFM56-7E engines fitted with 180kVa generators. Boeing has changed 75% of the –800s primary structure maily through stronger gauge materials for the expected flight loads. Other changes include a refuelling receptacle in the forward upper fuselage, an integral fuel tank in the aft third of the fuselage, and an internal weapons bay. The weapons bay has five hard points each rated for 650 kg, and two hard points on each wing, outboard of the engines are rated for 1360 kg, and two hard pointd in tandem on the centre forward fuselage are rated for 650 kg. Raked wingtips are developed from those of the 767-400. Engines: 2 x JT8D-7, 14,000 lb thrust.